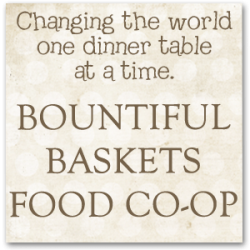 I have many recipes in my arsenal that I go to when my basket contents are nearing their end or when I need to clean out my fridge for the upcoming basket. 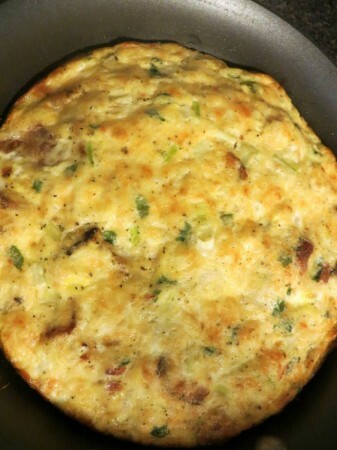 Frittata is one of those recipes – it is versatile enough to be able to toss many different vegetables into. Today, I didn’t have many basket ingredients left so I put together this recipe with my last two potatoes from my last organic basket and some green onions that I found in the back of my fridge. I sliced up my remaining asian pears to serve my family a well-rounded and filling breakfast. Cook bacon until crisp in an oven safe skillet, then drain bacon on paper towel and reserve 2 T drippings. Add potato slices to skillet and cook in bacon drippings. Turning when brown. In a bowl, combine eggs, milk, salt & pepper, parmesan, green onions and basil. Spread potatoes into a thin layer and sprinkle the bacon on top. Cover the skillet and reduce the heat to medium-low. Cook 15-20 minutes or until the surface is set. Keep an eye on it to make sure that it doesn't become to brown on the bottom - if it is browning too much reduce the heat. Once the center has set, I like to put the frittata under the broiler to brown the top a little. You don't have to do this but I like the color it gives the frittata. Previous Previous post: Hiding Cauliflower… In Mac and Cheese?